Aerators are a crucial element in keeping your pond healthy. They oxygenate the water, provide decomposition of fish waste and leaf debris, stimulate beneficial pond bacteria and help circulate the water so that it does not become stagnant. 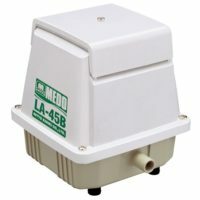 Koi Market carries a huge selection of pond aerators and air diffusers including Hakko, Hiblow, Matala, Easy Pro and Medo.